Janasena chief Power Star Pawan Kalyan turned out to be a master strategist. If he is given a blow by his opponents, he gives them double jolt. It is a known news that Gedela Srinibabu, an NRI software firm's head has been roped as Vizag's MP candidate for Janasena. 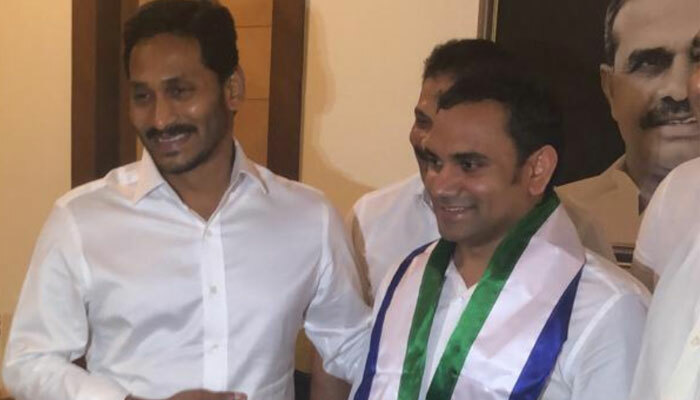 Leaving a huge shocker to Janasena, Gedela defected the party and joined YSRCP. It's buzzed that Telangana CM KCR promised Gedela to give 1000 acres for the establishment of a software company in Hyderabad. The TRS top brass is buzzed to have threatened Gedela that he would take his decision back unless he defects Janasena. On the other hand, Janasena chief Power Star Pawan Kalyan was also dissatisfied with the fraudulent practices of Gedela. Janasena chief recently received the reports that Gedela hadn't paid salaries to his employees properly. Cases have been filed against his companies OMICS and PULSUS in the US. In the meanwhile, Janasena chief is learnt to have scripted an innovative strategy to beat Gedela in Vizag. Reportedly Janasena will give Vizag MP ticket to BSP as part of alliance. Let's wait for more developments. Opinion: He Is a Cruel Politician!